Kenneth Frampton's long-awaited follow-up to his classic A Critical History of Modern Architecture is certain to influence any future debate on the evolution of modern architecture. 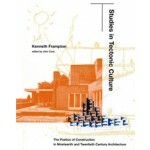 The book Studies in Tectonic Culture is nothing less than a rethinking of the entire modern architectural tradition. The notion of tectonics as employed by Kenneth Frampton - the focus on architecture as a constructional craft - constitutes a direct challenge to current mainstream thinking on the artistic limits of postmodernism, and suggests a convincing alternative. Indeed, Frampton argues, modern architecture is invariably as much about structure and construction as it is about space and abstract form. Composed of ten essays and an epilogue that trace the history of contemporary form as an evolving poetic of structure and construction, the book's analytical framework rests on Frampton's close readings of key French and German, and English sources from the eighteenth century to the present. He clarifies the various turns that structural engineering and tectonic imagination have taken in the work of such architects as Perret, Wright, Kahn, Scarpa, and Mies, and shows how both constructional form and material character were integral to an evolving architectural expression of their work. Frampton also demonstrates that the way in which these elements are articulated from one work to the next provides a basis upon which to evaluate the works as a whole. Composed of ten essays and an epilogue that trace the history of contemporary form as an evolving poetic of structure and construction, the book's analytical framework rests on Frampton's close readings of key French and German, and English sources from the eighteenth century to the present. He clarifies the various turns that structural engineering and tectonic imagination have taken in the work of such architects as Perret, Wright, Kahn, Scarpa, and Mies, and shows how both constructional form and material character were integral to an evolving architectural expression of their work. Frampton also demonstrates that the way in which these elements are articulated from one work to the next provides a basis upon which to evaluate the works as a whole. This is especially evident in his consideration of the work of Perret, Mies, and Kahn and the continuities in their thought and attitudes that linked them to the past. 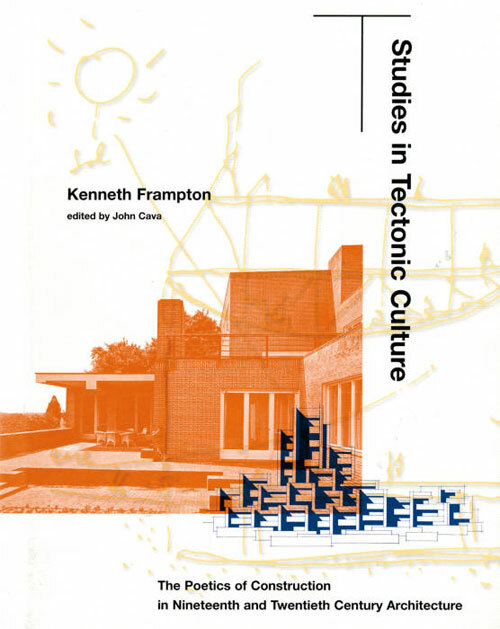 Kenneth Frampton considers the conscious cultivation of the tectonic tradition in architecture as an essential element in the future development of architectural form, casting a critical new light on the entire issue of modernity and on the place of much work that has passed as "avant-garde."